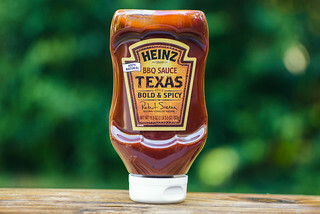 A robust tomato-based barbecue sauce with the molasses and vinegar standard bearers gets an upfront, but natural, smoky character that one-ups the competition of similar supermarket barbecue sauces. Whether you've ever fired up any charcoal or not, you're probably familiar with the "blue bag"—Kingsford. That name has been synonymous with grilling coals since the 1950s, when the briquettes company was renamed for its founder, Edward G. Kingsford, who started the business in the 1920s to make use of sawdust byproducts from the production of Ford cars. Kingsford has to be the most prolific charcoal company, with their signature briquettes lining the shelves of groceries and hardwares around the nation and beyond. 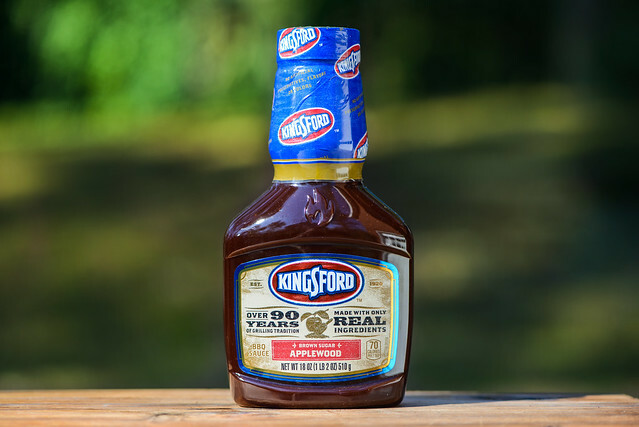 In full disclosure, I myself am a primarily Kingsford man, and the company has all been good to me—making me part of the Kingsford family at their events and making sure their new products are in my hands as they launch. So it was with little surprise that when Kingsford announced a series of three sauces, a box of them showed up at my doorstop to try out. Smoke is no joke in this Applewood branded sauce—there's a upfront smokiness that dominates the initial aroma. Coming in heavy along with the smoke are a combo of a deep tomato with a sweet character derived from a hearty hit of molasses. Backing up these bold smells are a medium tang and a mellow onion. While this glossy maroon sauce is totally opaque, you're still able to see some scattered specs of black and red spices throughout. It has slight a texture to it and a consistancy that weighs in between medium and super thick. This has the sauce falling in one big glob at first, followed by a few large and fast drips that relinquish to a few smaller and slow drips, ending with a medium layer of sauce still clinging to the silverware. A spoonful of sugar greets you on first taste of this sauce and stays prominent from start to finish. The sweetness quickly gains depth by way of molasses followed by tomato, which gives the sauce a ketchup-like flavor. At the same time, a smokiness is imparted which is hearty, but not as overstated as it was in the aroma. Next the sauce gains a vinegar tartness along with an added onion-like sweetness. 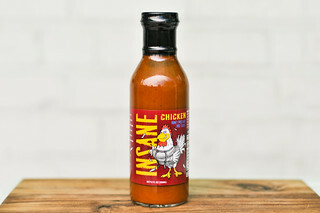 The smoke then ramps up just a bit before a mild heat hits, leaving a final sweet, tart, smoky, and spicy aftertaste. This sauce coated the chicken in a thick, even layer that failed to bake down over indirect heat. This led to burn off over direct heat, and due to the loss of sauce, there was very little charring or caramelization. To avoid a mostly naked piece of chicken, I applied a final coat and additional cooking before consuming. The already sweet flavor tilted even more in that direction, with the tang and smokiness mellowing out compared to out of the jar. What little sauce I didn't lose and was caramelized over direct heat offered the best bites—those had a intensity and depth of molasses and smoke that stood out among the otherwise mainly sugary profile. When I first got this sauce I wondered if I would be able to review it objectively with Kingsford and myself having a mutually beneficial and good relationship. 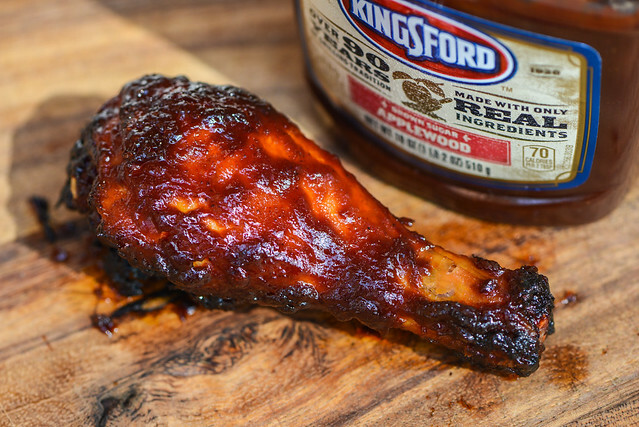 Still, I think I can be fair and honest and what Kingsford has developed here is a standard, bold supermarket sauce that one-ups the competition on flavor, but falls short on grilling performance. That left me teetering between a 6 or 7 on my sauce scale, but fell lower primarily due to the loss in diversity of use from it not baking down and also burning off over the fire. Still, if you're looking to use the sauce right out of the jar without grilling, you've got a good choice to pull off the shelf here. 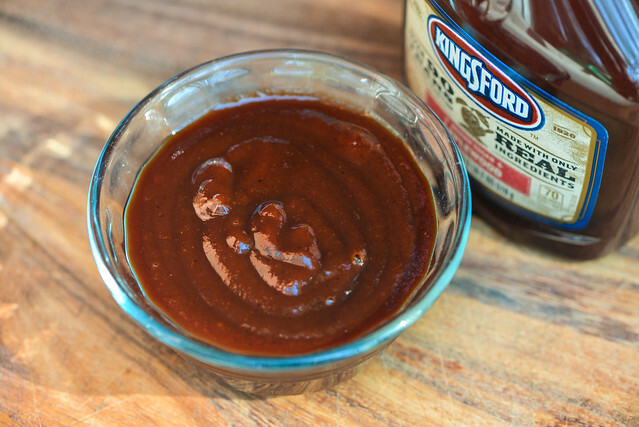 Kingsford Brown Sugar Applewood is going to give you a hearty, smoky flavor without the smoke being acrid—which it is in too many sauces—along with a robust tomato, molasses, and vinegar which all have a clean, not overly processed, taste. It would be great on beefy burgers or used in those slow cooker barbecue recipes, where the more natural smoke flavor here will give your meatballs, pork butts, briskets, and the like a better barbecue flavor than most other similar sauces.